Enter your email address below to receive a notification when Bella Soul starts accepting new sign-ups! Enter your email address below to receive a notification when Bella Soul is accepting new sign-ups again. 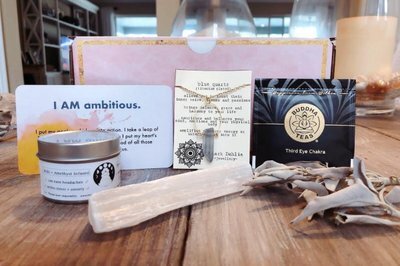 All Bella Soul boxes will be shipped on or by the 4th of the following month ordered. At this time, we ship FREE to the United States. If you live outside of the US, shipping costs will apply. 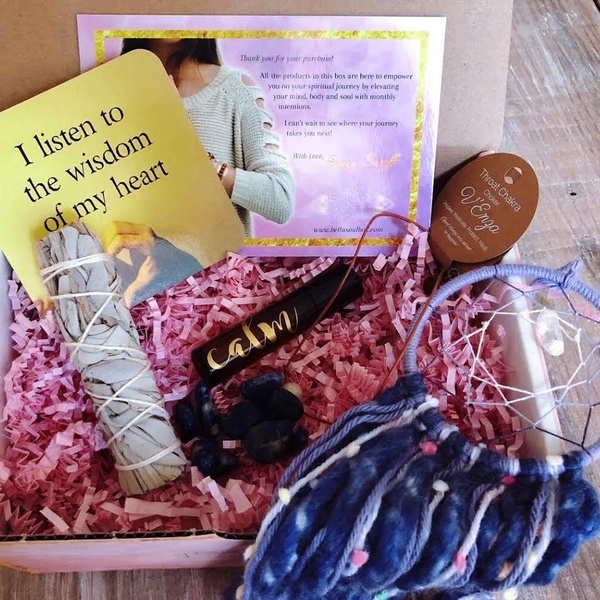 Spiritual Toolbox Infused with Reiki Healing. When you live a chaotic, busy life, physical reminders to take time for yourself are needed! 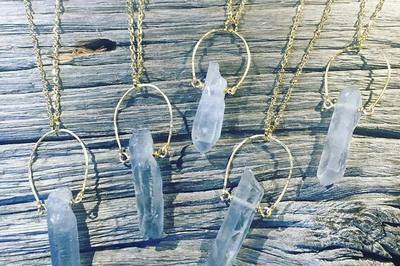 Live a calmer, more peaceful, in-the-moment kind of life with Bella Soul. 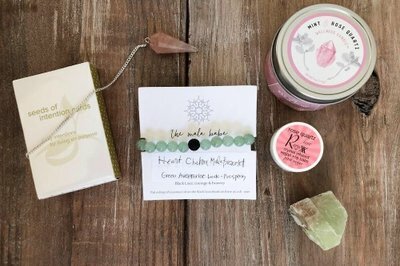 During Check out be sure to select either the Bella Soul box OR Crystal of the Month box. 2 boxes to choose from! 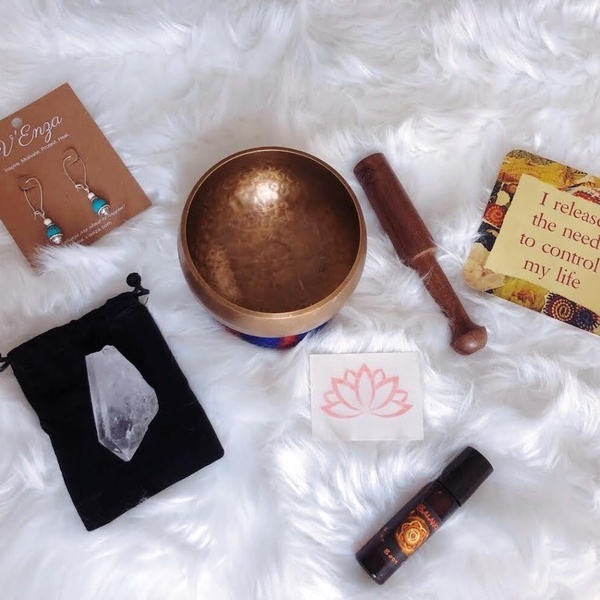 Our Bella Soul box includes a variety of spiritual products, such as, essential oils blends, crystal elixirs, crystal jewelry, journals and so much more. 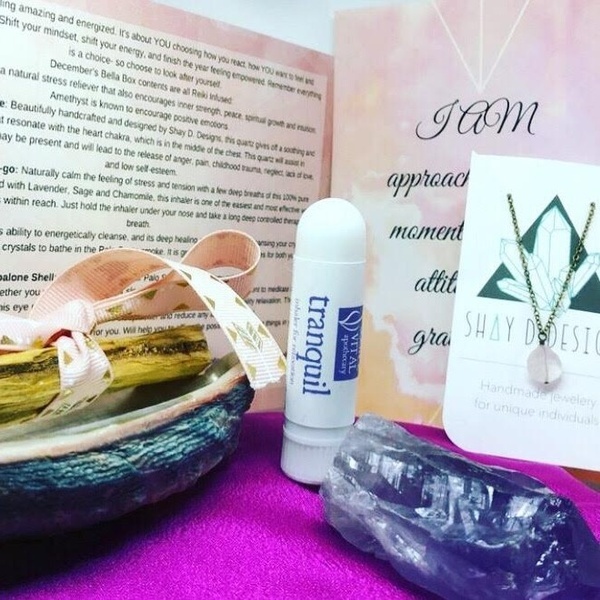 Our Crystal of the Month box includes a beautiful crystal (s). 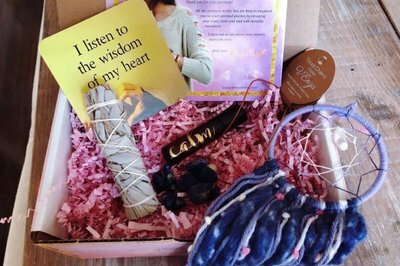 Each box includes intuitively selected gifts for your spiritual journey. These are physical reminders to take some time for yourself to live a calmer, more peaceful life and be in the moment. 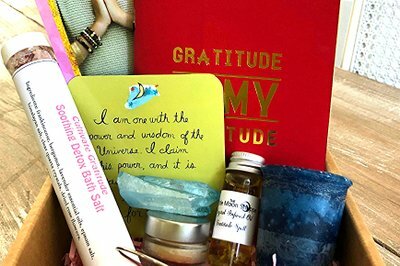 Each month you will receive a unique mix of products to help you deepen your spiritual practice and assist you with meditation, personal growth, mindfulness & more. You will receive an affirmation card that was intuitively picked just for YOU. Beautiful box - misleadingly "small" packed full of good energized gifts; favorite was the delicate unique crystal soap. Great gift to give/receive - blessings! I seriously cried of joy!! 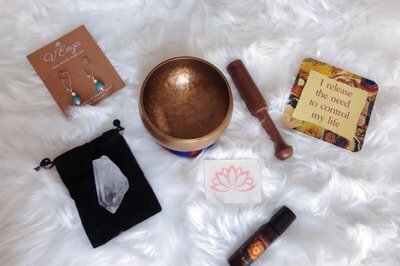 I was so pleased with all of the amazing goodies in my Bella Soul box. I got a much bigger crystal than I expected. I enjoyed the tea that was in the box and the sleep spray was totally divine. Each of the items was very special and I am excited about each of them. 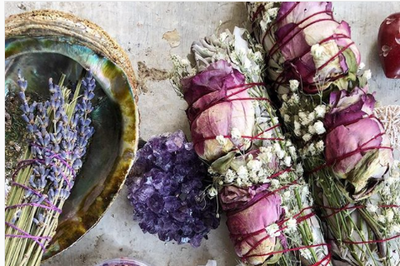 I am looking forward to using the lavender smudge! 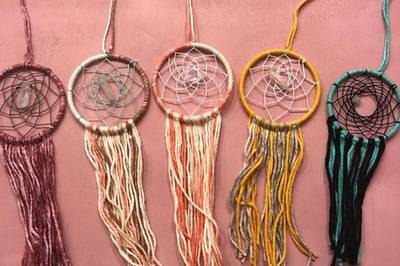 I also really appreciated that the items were handmade by artisans and crafters so they each had a wonderful and special energy to them. The packaging was so beautiful as well. I would highly recommend this subscription! Give it a try, you will be so glad that you did!